Heroes of Might and Magic III is a turn-based strategic war game, set up in a classical role-playing game Environment. 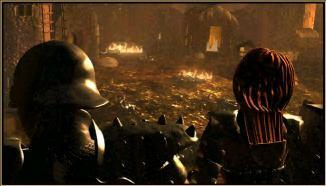 It involves capturing and developing towns, gathering resources, assembling armies and sending them into combat. Each town has a theme and can only raise the type of creatures appropriate to that theme. The resources (gold, wood, ore, gems, crystal, mercury, and sulfur) can be found mostly in mines and are gathered once a day. They are used to build new buildings in your towns, to improve existing buildings, to buy armies, etc. Each army is led by a hero and consists of up to seven stacks of creatures raised in towns or recruited in countryside. The armies are sent into tactical combat, which can occur either in countryside or in towns. If the attacker captures the town, the winner can recruit the creatures raised in that town afterwards. Each game scenario (regular or campaign style) has its own objective which can vary from capturing a specific castle, defeating a specific hero or monster, gathering gold, or finding the Holy Grail (just to name a few). The game bears some similarity to Heroes of Might and Magic II, but it has been vastly re-vamped. HEROES III is set in the same world as HEROES II and MM6 (Might and Magic 6) and continues the story-line of those two games. It is set in another country (Erathia), but there will be some significant differences between HEROES III and HEROES II. Features page contains a detailed list of game features and changes from HOMM2. HOMM3 picks up where MM6 ends. Queen Catherine learned of her father, King Gryphonheart, has been killed and the kingdom of Erathia had been thrown into disarray. Suspecting foul play, and the great potential for neighboring aggressors to take advantage of the situation, she leaves Enroth for Erathia with a fleet of warships. When she arrives in Erathia, her suspicions are confirmed. She finds a war ensuing, with warlords and evil barons coming out of the woodwork seeking to redraw the territorial boundaries of the land. Battling to Erathia's capitol city of Steadwick, Catherine sets herself up as Queen and beginsrestoring the land's original borders. Of chief concern are the Necromancers, whom Catherine suspects are behind the murder of her father's death. The Necromancers raise large hordes of undead and advance unexpectedly towards the Erathian capitol. Queen Catherine enlists the aid of her father's generals and embarks on a crusade to reclaim her lost land and uncover the truth about her father's death. Along the way, other kingdoms will test her and see how much harassment they can get away with. The Elven Kingdoms close to her own will also prove stubborn neighbors, and Queen Catherine will need to find some way to gain their allegiance. Thus begins the story of Heroes of Might and Magic 3. As the commander of Queen Catherine's forces, you must do her bidding and battling her enemies, reclaiming the lost lands of Erathia, quelling unruly neighbors, and battling the Necromancer's armies. Later on, several twists and turns will worm their way into the plot, and the story will grow even more complex. In the beginning though, you know simply that Erathia must be restored to its former glory and that Queen Catherine must avenge her father's death. Above screenshots are from Heroes 3 introduction movie - Queen Catherine arrives to Erathia to find city ruins after battle. She learns what happened from the remains on the battlefield. Queen Catherine resolves to restore Erathia to its former glory, raises the Erathian flag and rallies the men. Campaign sections below contain the rest of the HOMM3 story line, ordered from the first campaign (top left) to the last secret campaign (second row right). A big game modification (modding) community formed around Heroes 3. The fans created many excellent mods and game enhancements that added new features and game objects, allowed playing in higher screen resolutions, changed game balance and dynamics, and even added entirely new playable towns with a full line-up of new creatures and heroes. The international H3 modding hub is the Heroes 3.5 - WoG and Beyond forum on Heroes Community. If you are completely new to the modding scene, this handy guide is a good place to start. Heroes 3 HD (High Definition) edition was released on 29th of Jan 2015, almost 16 years since the release of Heroes of Might and Magic 3: Restoration of Erathia. Heroes 3 HD release contains only the original Heroes 3 game without the two expansion packs Armageddon's Blade and Shadow of Death. The features and improvements introduced by the expansion packs, including most notably the random map generator, are not included in the HD release. The reason for this is that Ubisoft could only obtain the source code for the base game, not for the expansons. The task of re-programming the expansion packs from scratch was too big to undertake. - enhanced graphics for larger screen resolutions (see trailer). - a new online multiplayer lobby. - HD release is available for mobile platforms iOS and Android. Heroes 3 HD had a mostly negative reception. The main reason was that Ubisoft's product description was too vague: "Heroes III – HD Edition content is based on the original 1999 game: The Restoration of Erathia" was not adequate to let excited fans know that both of the game's expansions are missing from the HD release, given the general unspoken expectation that "HD" releases always upgrade the game's features as opposed to downgrading them. Bugs and slow animation provoked the remainder of the discontent. The main praised aspect of the HD release was giving younger fans the ability to play Heroes 3 on their mobile devices. Within a day of release the fans have created a tool to convert AB and SOD expansion maps to be playable in Heroes 3 HD. You can post your opinion and read what others are saying in the Heroes 3 HD Discussion Thread on Heroes Community. 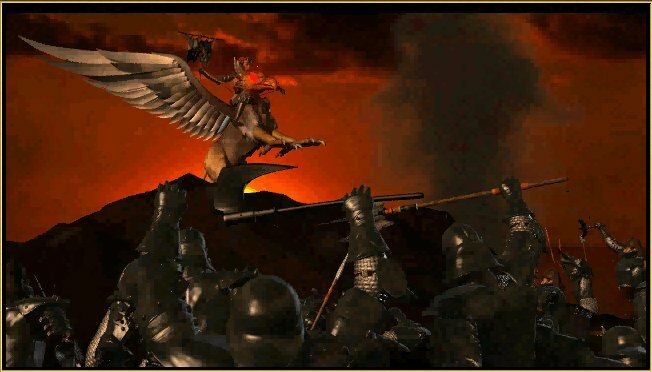 If you are after Heroes of Might and Magic 3 maps downloads, one of the web's best HOMM3 maps archives is at MapHaven. Their map search tool is very advanced and will help you find the kind of map you are after. If you want to upgrade your Heroes of Might and Magic 3 with the latest patch, or to play multiplayer games online against other Heroes 3 players, then look no further than Tournament of Honor. For fascinating discussion about Heroes of Might and Magic 3 strategy and tactics, visit the Library of Enlightenment forum of Heroes Community. And if you're up for a chat with a worldwide community of HOMM fans, check out the Tavern of The Rising Sun forum. 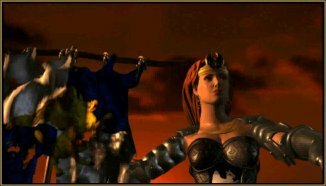 Thanks to The Nether Gods team for providing a good portion of information that went into making the Heroes of Might and Magic 3 section of Age of Heroes. Nether Gods was a once great HOMM3 fan site that closed down. Its webmaster, Demoniak, gave me permission to use their materials for Age of Heroes. I owe a debt of gratitude to The Nether Gods team for making such a fine web site and proudly preserve their work along with mine for you to enjoy.